The charge of John the Blind at the Battle of Crecy 1346. Claymore Castings are proud to release the first of their Medieval History character sets. John was the Count of Luxembourg and King of Bohemia. He is well known for having died while fighting in the Battle of Crécy at age 50, after having been blind for a decade. We at Claymore Castings are suckers for a poetic story! The set is more of a military modelling kit than just wargames figures and have been designed to give the utmost detail. The horses come in three parts and the riders in two or three. 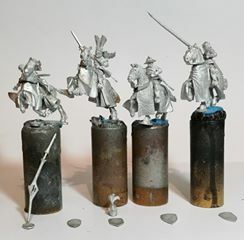 The King John figure comes with a choice of helmets and the falling knight in his retinue, with a broken lance. 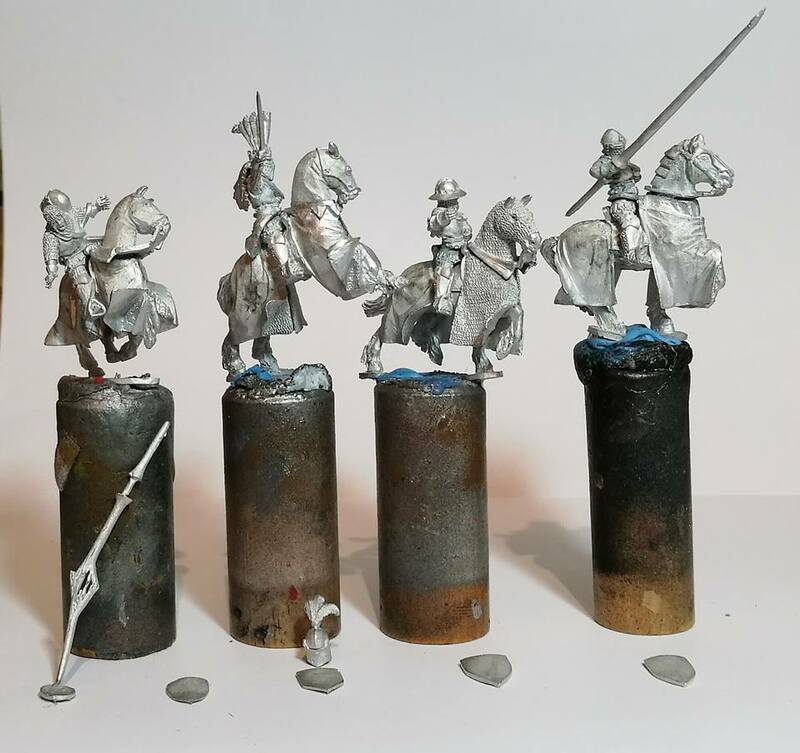 I have painted three of these figures as other French knights from the period to show that although we have released this as a “John the Blind” set, the figures can be used as any European knights of the period. 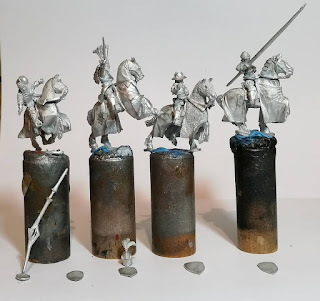 Future mounted knights are being designed and these will probably have horses as a one part casting. 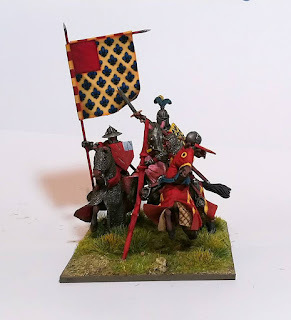 This set is a real collector’s piece and a must for any medieval enthusiast to own!